CEO Partnership offers private, confidential,individually-customized coaching for managers, executives, professionals and business leaders. I work exclusively with a limited number of individual clients (up to 12 at any one time, occasionally one or two more if you are eager or can’t wait to begin). CEOPartnership also provides additional coaches, pre-screened andcertified to be of exceptionally high quality, for organizationsrequiring a larger number of coaches and desiring to provideindividuals with a choice of executive coaches. 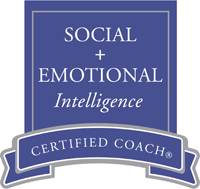 To provide real-time coaching assistance — confidentially — on issues and concerns you are currently confronting. Executive coaching services are paid in advance on a monthly basis (discounts are available for six- and twelve-month commitments), andmay be paid with business or personal funds by check or credit card. Fees vary depending on whetheryou prefer unlimited access to coaching assistance or regularly-scheduled weekly coaching sessions. Fees also vary depending on whether you wish to gain new insights into your leadership or communication style, or gain a perspective of your executive strengths and vulnerabilities through one (or more) of our assessments. I offer 30, 50 and 90-minute coaching session by telephone throughout the U.S. and internationally, and in-person in the Denver metropolitan area. Have a bias for action, are results-oriented and pragmatic. Need assistance with specific issues and/or with long-term plans, or need a safe, confidential, trusted and experienced sounding board to ensure validity of new or current ideas or approaches. Require confidential help at key times, and a fast response with options for action.